World-renowned businessman and success expert Harvey Mackay discusses his newest pursuit 'Harvey Mackay University,' talks longevity in business, and weighs in on the keys to utilizing the digital sphere as an entrepreneur. What's the most important "word" for a business leader? 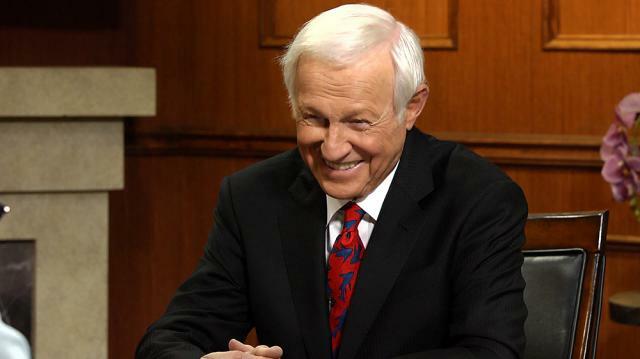 Larry talks to Harvey Mackay, a businessman, entrepreneur, and success expert. Mackay has been named by Toastmasters International as one of the top 5 speakers worldwide, and has written 8 books, including New York Times bestsellers like Swim with the Sharks Without Being Eaten Alive.Currently, he is promoting his online program, Harvey Mackay University: Secrets of the Roundtable. Featuring advice and lessons from Mackay and other business icons, including Larry King, the digital roundtable has 150 hours of learning that have been taped and transcribed from previous lessons given to students who paid $150,000. To give back to his community, Mackay is discounting his course, which is available on the siteharveymackayuniversity.com, to $100. Mackay attributes his generosity and street smarts to his father, who headed an Associated Press office. Larry says that some believe skills like entrepreneurship are innate, but Mackay believes he can teach the skill to any young, hungry fighter who wants success. The key, Mackay says, is to be good at what you’re passionate about. Then Larry asks Mackay about his business passions, and what the most important word in business is. Mackay spells it out: H-I-R-E. He talks about having a thorough interview process, establishing trust, and asking “How would I feel if this person were working for my competitor,” to hire ideal employees. Mackay believes the world, even in the digital age, still defines success in terms of possessing trustworthy qualities. In terms of being employed and being successful, Larry asks about women in business—what took so long? Mackay rattles off statistics about women rising in various fields, and acknowledges the glass ceiling still exists, but there’s pretty good progress. Speaking about progressing in business, Larry asks how Mackay developed his networking skills. Mackay again credits his father, who taught him to keep his contacts in a Rolodex file and creatively keep in touch. So for decades, Mackay has made casual and birthday calls to his contacts. Larry asks why Mackay, in his 80s, is still doing all this, and Mackay mentions being inspired by his father, a community leader. Then Mackay turns the question on Larry, whom Mackay says hasn’t hit his peak yet. Larry acknowledges they’re both workaholics, and asks Mackay how he balances his business and home lives. This is the toughest question to Mackay, who admits he doesn’t have a complete answer, but talks about his motivated wife, and that the best way to raise children is in a happy marriage.